All iPhone, iPad and iPod touch users take backup in iTunes before update or Jailbreak your iOS device. Now you can restore it again in your iOS device and then you can view data in your iOS device. Now Without restoring old backup in iOS data you can extract Picture, Music, Contacts, Message and all the media file in free on your Mac using free iTunes backup extractor. You can download it in your browser in single click. So simply plug your iOS device and Extract iTunes backup taken from iPhone, iPad and iPod touch. Don’t miss: Best Antivirus for iPhone – Download: Remove threats. 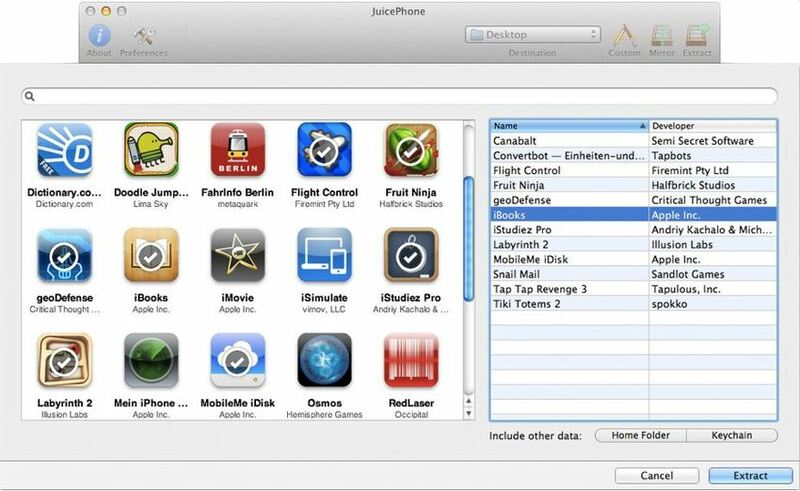 JuicePhone is best way to extract iTunes backup taken from iPhone, iPad and iPod touch in free. Here you can find brief features and Download link. Software requirements: You can extract iTunes backup taken in iTunes 7 or new updated version. In updated version you can find support for iPhone 5, iPad 4th generation, iPad mini, and 5th generation iPod touch. New design interface makes easy to use and batter experience. Mirror features make that more compatible; As a result uses can save lots of space on system. You can also track information like Software version, Phone number and identifier. Plug your iOS device, iPhone, iPad and iPod touch. Open JuicePhone, JuicePhone automatically fetch backup in mirror and To extract just click on extract option from above tab. 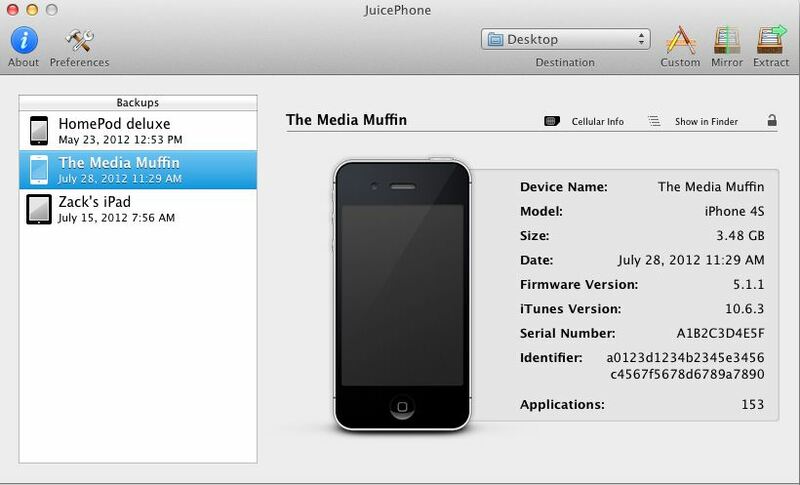 Otherwise choose app manually what you want in your Mac after Extract data by JuicePhone. You might also like: Best Mac Data Recovery Software for lost Data – 2015. Very useful free tools for Mac compatible device to easily extract iTunes backup taken from iPhone, iPad and iPod touch.